Steel magazine with 17 round capacity. 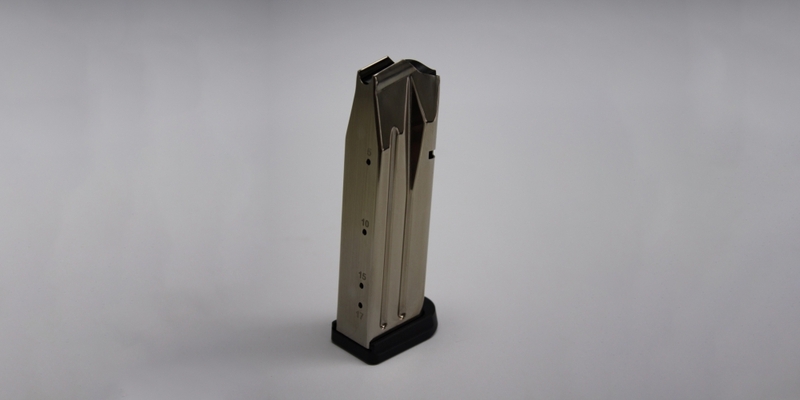 Magazine body is finished with a special slick bluing. Floorplate made of light alloy, black or silver anodised. 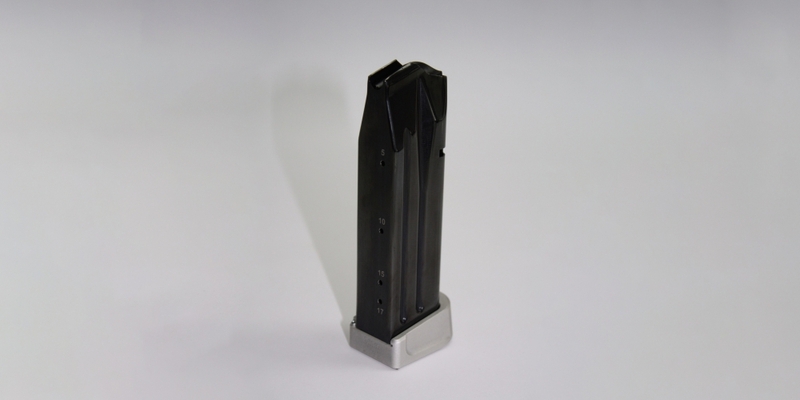 Steel magazine with 19 round capacity. 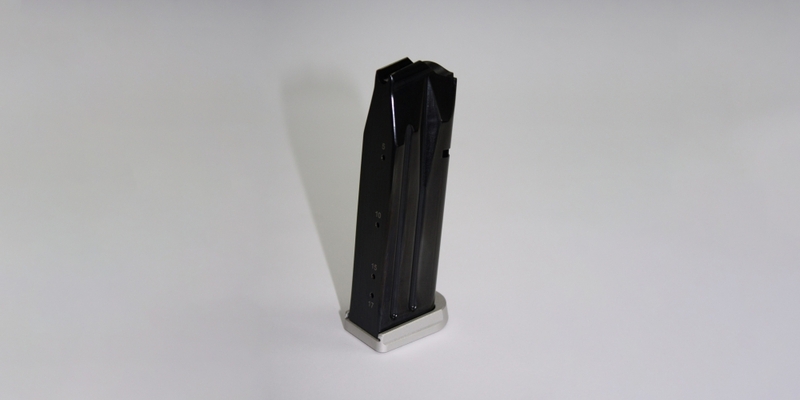 Magazine body is finished with a special slick bluing. Floorplate “plus 2” made of a light alloy, black or silver anodised. 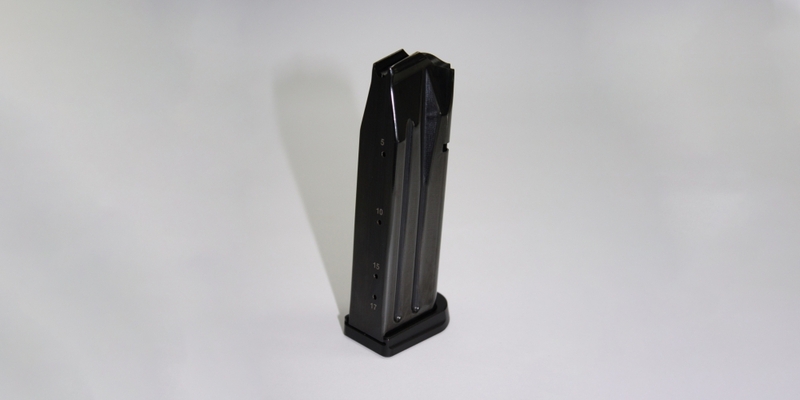 Steel magazine with 17 round capacity. 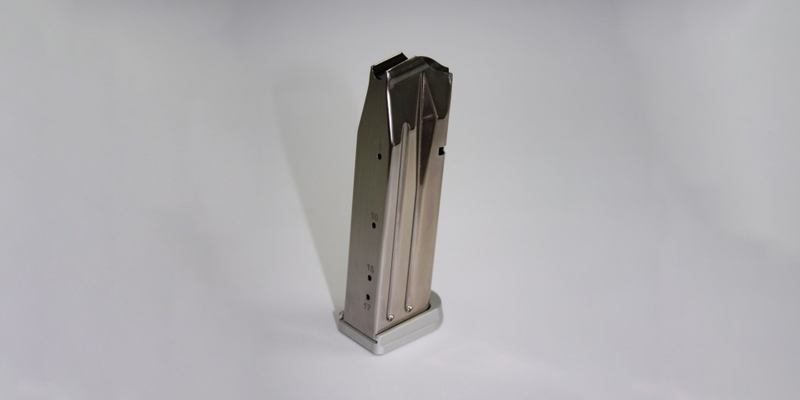 Nickel plated magazine body. Floorplate made of a light alloy, black or silver anodised. 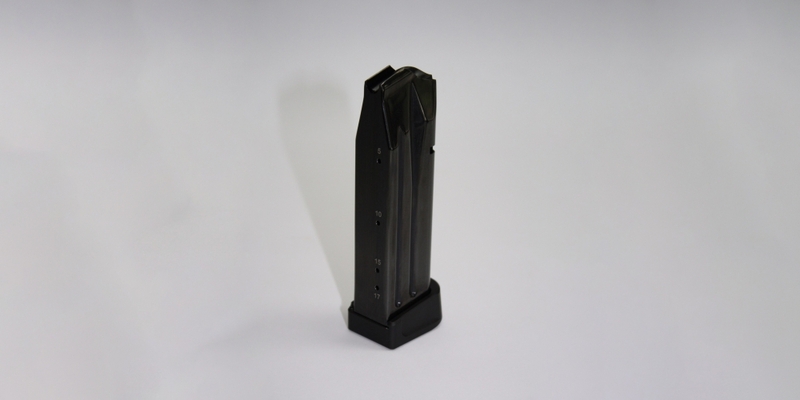 Steel magazine with 19 round capacity. 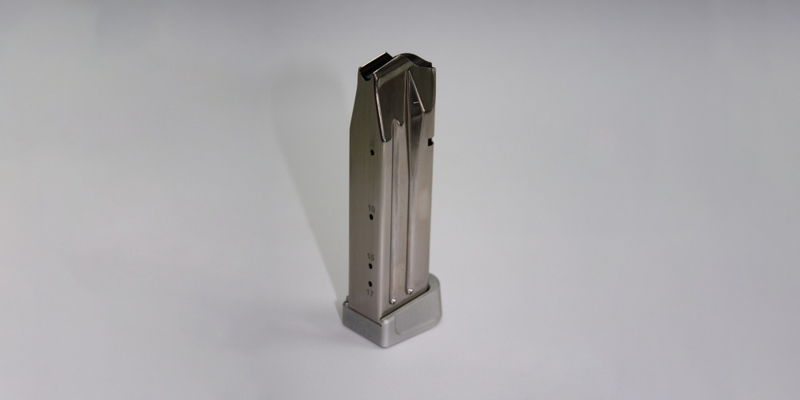 Nickel plated magazine body. Floorplate “plus 2” made of a light alloy, black or silver anodised.